Are you planning on giving homemade gifts this season? 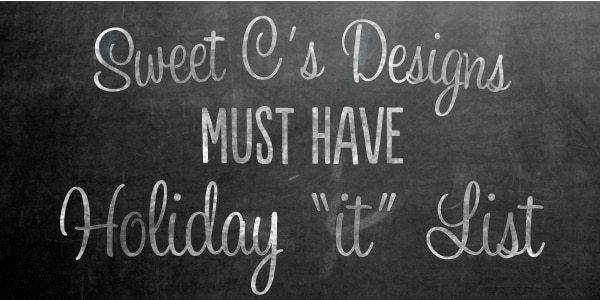 Looking for some awesome ideas to give to friends (or put on your own wish list??)? I’ve got you covered! I am going to be profiling some of my hands down favorite must haves this holiday season, starting with an amazing carry-all bag every blogista should have for conference, craft party or writing trip project toting. It is big, burlap, lined with an easy to clean interior, and embroidered with your blog, business, or monogram- and topped with adorable, delectable little posie clusters. What am I talking about? 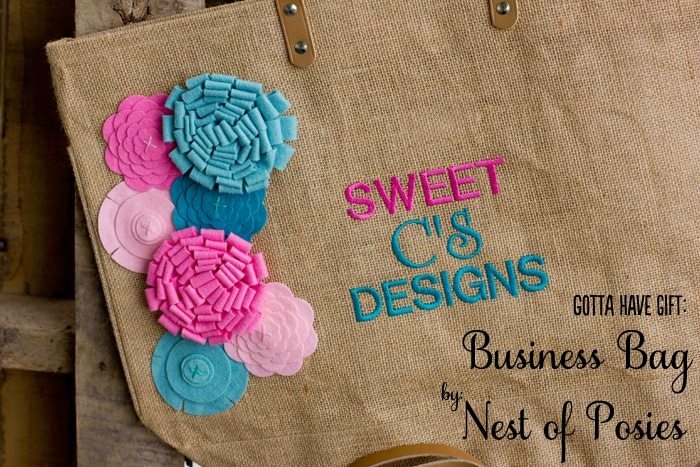 The Nest of Posies tote bags!!! I recently got some amazing totes from Kellie at Nest of Posies for myself and a friend (who runs an amazing handmade jewelry line you can find here). Aren’t they awesome?! I am so glad I found them. And they are totally affordable- under $50- which is a STEAL for a bag of this size. Trust me when I say this bag is BIG- you could fit a laptop, supplies, notebooks, your purse… tons of stuff. And check out the quality inside. These bags are top-notch, and very sturdy. So now you want to know where you can get your own, right? 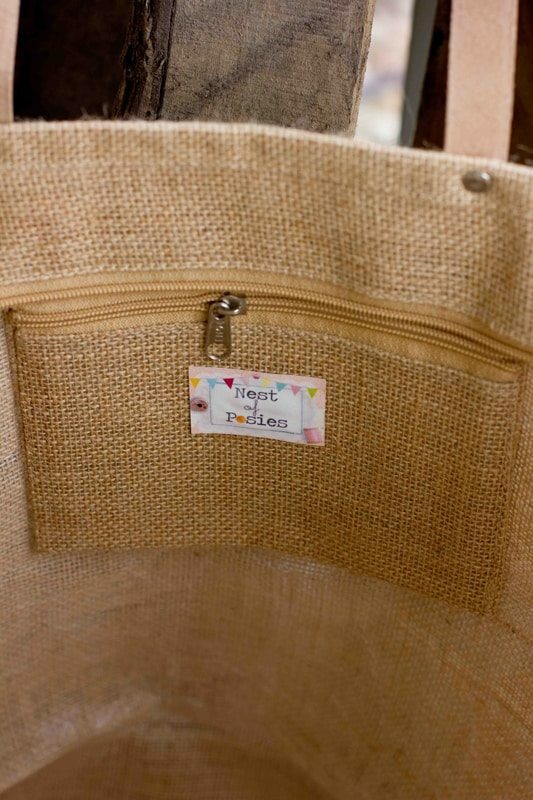 Head on over to the Nest of Posies shop to check out her totes and adorable posie clusters (you’ll be seeing more of those very soon). 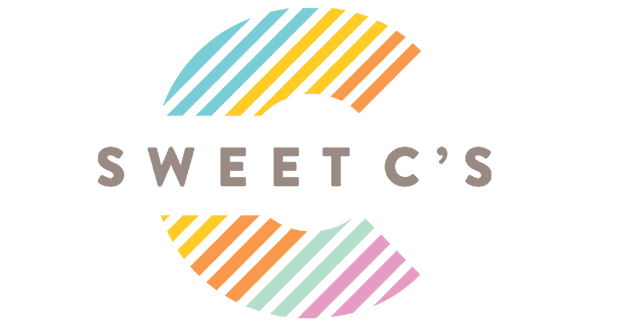 And stay tuned to Sweet C’s for more of my must-have holiday gifts, decor and recipes! While I do review products for compensation (and sometimes accept products as compensation), I was not compensated in any way for this post. 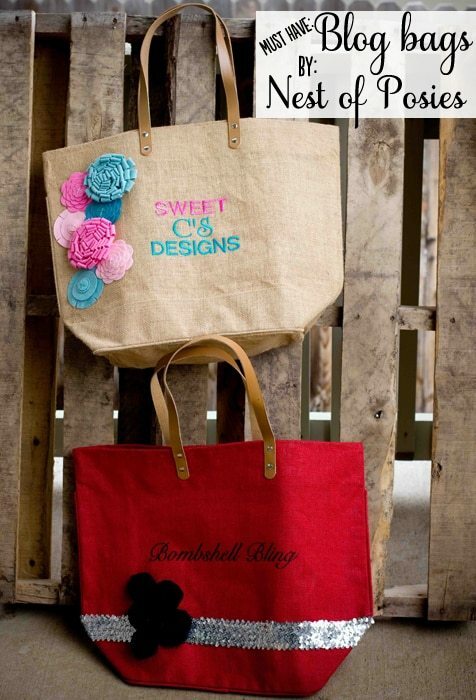 I LOVE these totes and aquired them on my own. you are too kind. thank you so much! really, this made my day.